Love it a bullet to the brain...or an arrow to the heart. 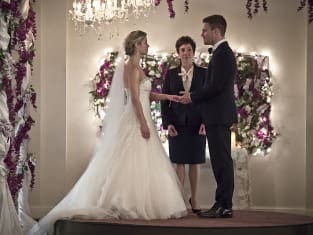 Arrow Season 4 Episode 16: "Broken Hearts"
Permalink: Love it a bullet to the brain...or an arrow to the heart. Oliver: I did say that I was gonna cancel, and I am gonna cancel, but I haven't canceled...yet. When I pick up the phone to do that, it means it's over. Arrow Round Table: Court is in Session!